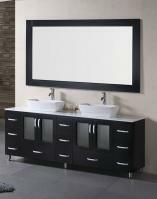 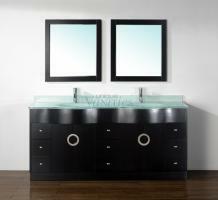 Add a touch of contemporary style to your family or master bath space with this 72 inch double vessel sink vanity. The vanity features a dark espresso finish, seven storage drawers and two under sink cabinet spaces. 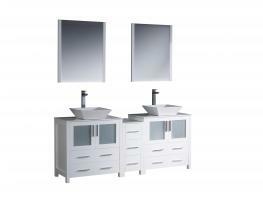 Above, white counters and sinks provide a nice contrast. 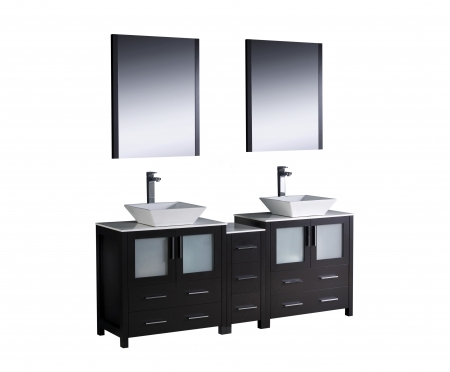 You also receive matching mirrors and fixtures.